One of the great rock’n’rollers of all time and the head of a talented band that turned every song and performance into a sonic adventure, Tom Petty passed away unexpectedly on October 2, 2017 at the age of 66. Fresh off a 40th Anniversary Tour, Tom Petty and the Heartbreakers leave behind an astonishing musical legacy very few groups or performers of the modern era can come close to matching. They blazed away from the beginning in 1976 with their self-titled debut album and were still going strong in 2014 with their last studio LP Hypnotic Eye. Starting off as a young, ambitious kid in Gainesville, Florida with nothing much more than a dream and a guitar, Petty dropped out of high school at the age of 17 determined to establish himself as a force on the rock’n’roll scene. He never wavered in the pursuit of his goal despite many obstacles along the way. 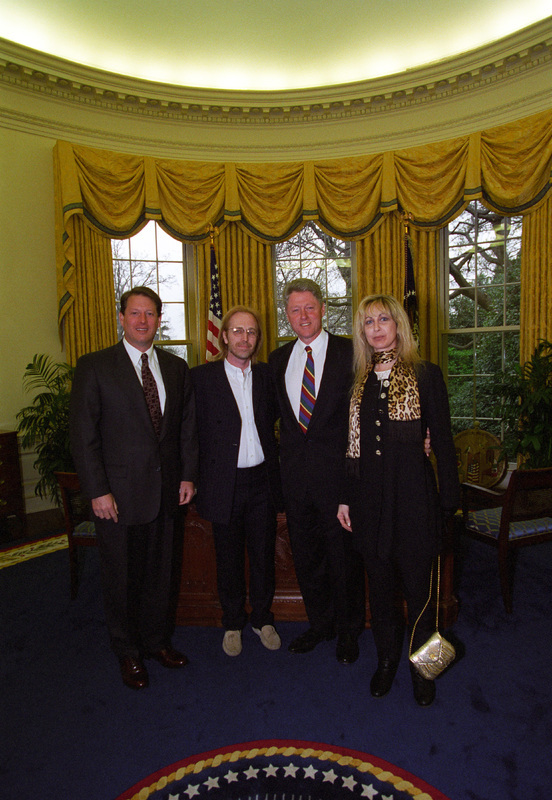 Petty’s first band, Mudcrutch, experienced difficulties and didn’t gain much attention even after he traveled cross country with the group to California. Petty assembled the core of the Heartbreakers in 1975, but it took a few years before they would truly become stars. Mike Campbell on lead guitar, Benmont Tench on keyboards, Ron Blair on bass, and Stan Lynch on drums—these were the original Heartbreakers who, along with Petty on guitar, established themselves as a mainstay in popular music for four decades. 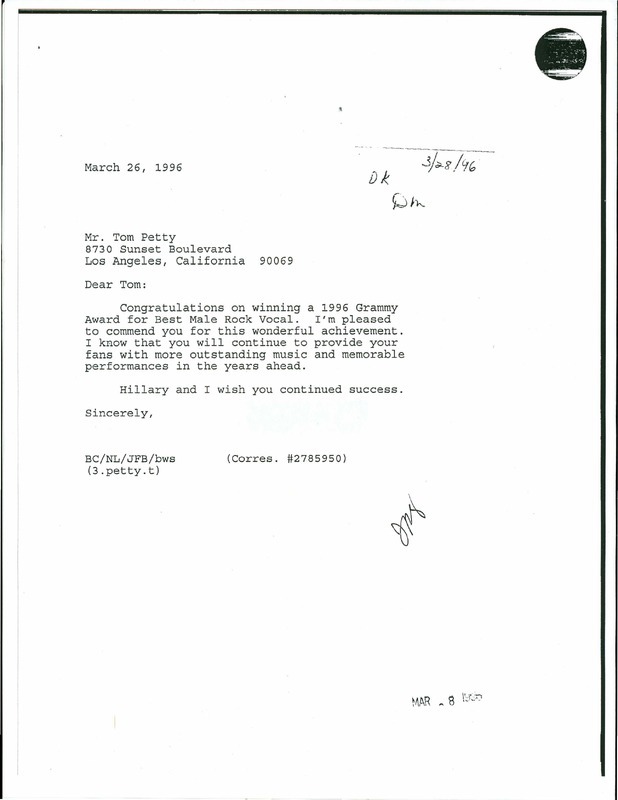 Petty, the unquestioned leader of the band, allowed a degree of democracy and dissension. Everybody could have their say; however, in the end, Petty always made the final decision and matters moved on from there. Damn the Torpedoes (1979), the album that catapulted Petty into super stardom, reached Number Two on the Billboard LP chart and continues to fly off record shelves to this very day. It has been certified Triple Platinum by the Recording Industry Association of America (RIAA), meaning sales have been in excess of 3,000,000 copies. Two charting singles, “Don’t Do Me Like That” and “Refugee,” came from the album and proved that Petty possessed the skills necessary to be a hitmaker. Containing the title track, The Last DJ turned out to be modestly successful for Tom Petty and the Heartbreakers. The album reached Number 9 on the Billboard 200, while the single got as high as Number 22 on Billboard’s Mainstream Rock Tracks. As of 2010, Nielsen SoundScan puts the number of copies sold at 353,000. Petty initially claimed “The Last DJ” wasn’t about anybody in particular. Later on, he acknowledged that Los Angeles DJ Jim Ladd should be viewed as the inspiration for the song. Petty utilizes catchy phrases such as “company man,” “freedom of choice,” and “celebrate mediocrity” to show his contempt and scorn for the greediness of the music industry. 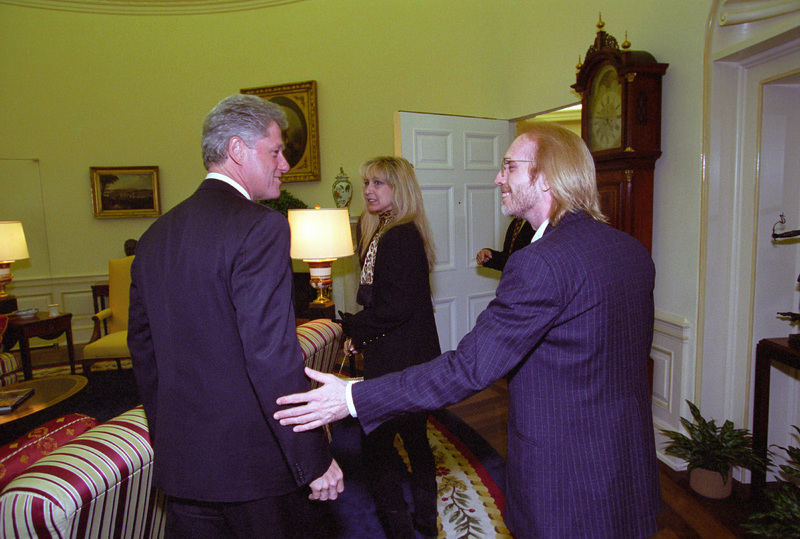 Petty released three solo albums over the years with the first one of these, Full Moon Fever (1989), perhaps being the most memorable and successful. He said “it was the most enjoyable record of his career.” However, it caused consternation among the Heartbreakers with drummer Stan Lynch being quite vocal in expressing displeasure about Petty’s solo effort. 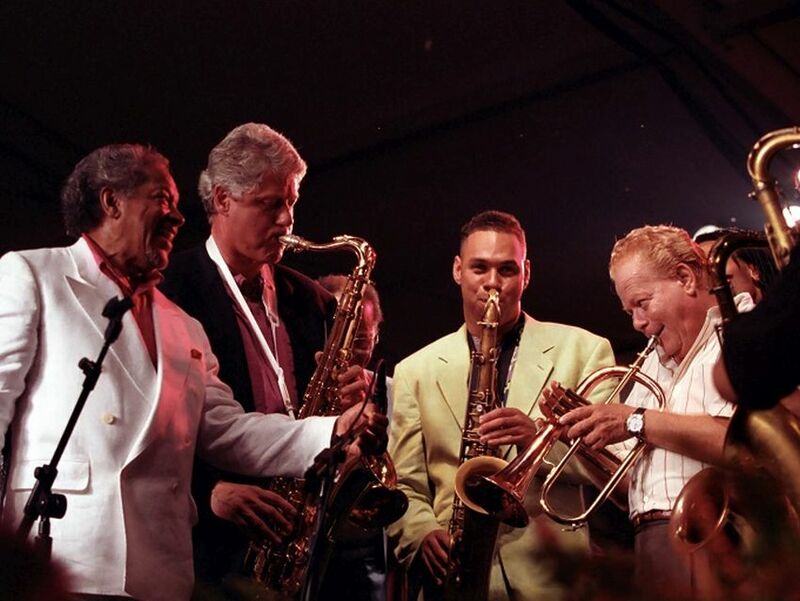 Eventually, Petty and Lynch became estranged with the drummer leaving the band in 1994 to be replaced by Steve Ferrone. Full Moon Fever spawned three hit singles—“I Won’t Back Down,” “Runnin’ Down a Dream,” and “Free Fallin.’” The LP became Petty’s biggest commercial success as it peaked at Number 3 on the U.S. Billboard 200 and was certified 5 x platinum in the United States. 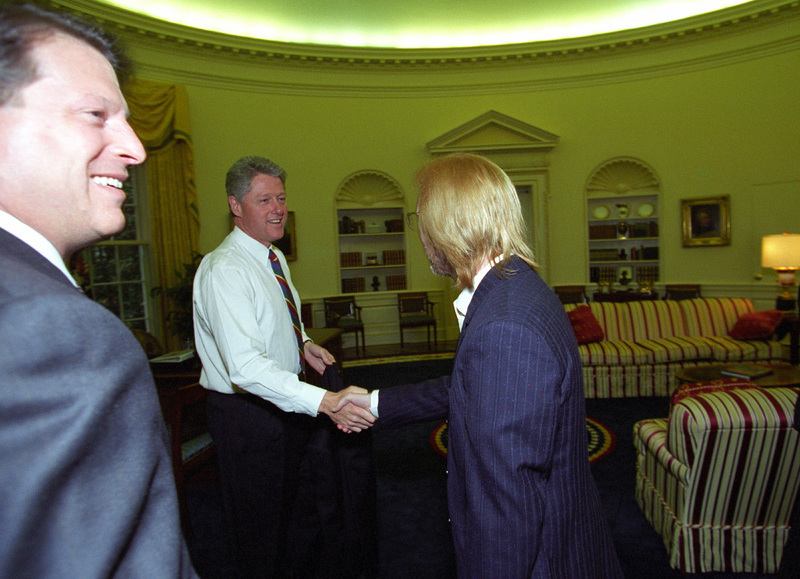 The photos from our collection show President Clinton and Vice President Al Gore greeting Tom and Jane Petty in the Oval Office on April 10, 1995.